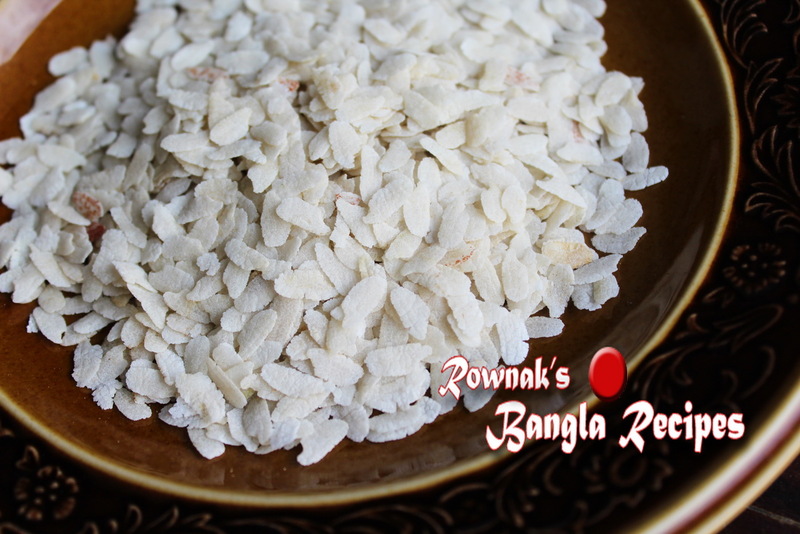 Flattened rice / Chira is also known as Poha, Powa, flat rice, Pressed rice, Flaked rice. 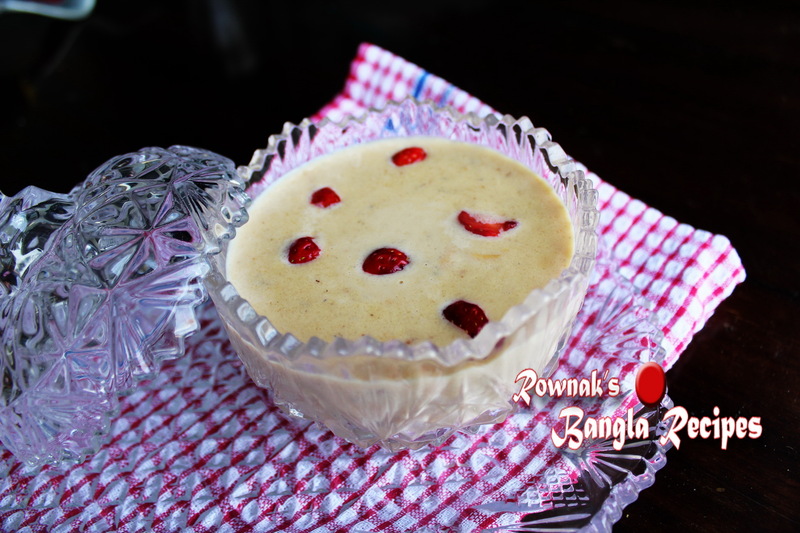 Chirar Payesh / Flattened Rice Pudding is traditionally made in North part of Bangladesh (North Bengal) with Kataribhog Chira(which is aromatic and bit thicker than usual rice). If you can’t find Kataribhog chira, use the thickest Flattened rice / Chira you get from market. For sweetness Khejurer gur (date sugar) is used traditionally, please try to use Khejurer gur (date sugar). If you are unable to get this, use brown sugar. Though it pretty simple dessert, you have to constant stir it .So make it when you have free enough time. Wash Flattened rice / Chira and strain the water. Need to be careful with wash it. After straining soak it with 1 cup milk. Mix ½ cup milk with rice flour and keep aside. Boil the rest of milk and cardamom together and bring it to boil. Stir occasionally. Add rice flour mix in boiling milk and stir constantly. Boil about 12-15 minutes and add milk soaked Flattened rice / Chira. Cook 15 minutes more or when Flattened rice / Chira is cooked and milk becomes your desire constancy, add Khejurer gur (date sugar) / brown sugar. Stir it and cook it till sugar dissolves. Remove Chirar Payesh / Flattened Rice Pudding from heat. Pour it in serving dish and let it cool down. Put it in refrigerator. Serve Chirar Payesh / Flattened Rice Pudding chilled.